If you are living with opioid use disorder, or have sought treatment for the condition, then you’ve probably heard of or used various drugs to treat the addiction. Buprenorphine is one such drug, regularly used in detox and treatment settings, typically in the form of Suboxone or Subutex. Regarding the former medication, the formula contains buprenorphine and naloxone (yes, the same drug used to reverse the deadly symptoms of an opioid overdose). Drugs like Suboxone help people in the early weeks of recovery navigate both acute and post-acute withdrawal symptoms. The medication comes in the form of dissolvable film strips that patients take sublingually (under the tongue). Suboxone is not the only medication on the market that has shown promise in the treatment of opioid use disorder, in recent years addiction experts have turned to Vivitrol (naltrexone for extended-release injectable suspension), a drug that may help people with the physical and mental withdrawal symptoms occurring after stopping prescription opioid or heroin use. Both buprenorphine and naltrexone have helped many an addict overcome the grip of addiction; however, there have long been concerns about the former for the fact that it causes euphoria and is often diverted for no medical use. Indivior, the maker of Suboxone, may have found a solution the above problem. 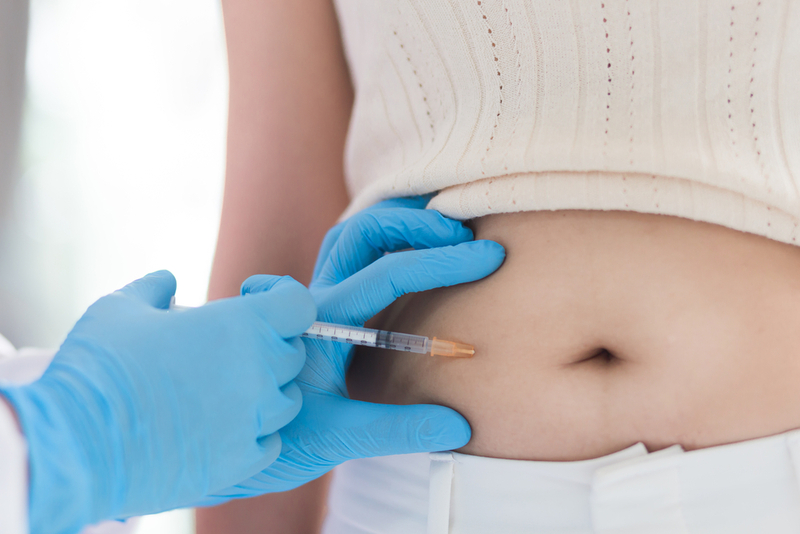 The U.S. Food and Drug Administration has approved an injectable version of Suboxone, known as Sublocade, STAT reports. The injection, containing long-acting buprenorphine, received 18 to 1 support from an FDA advisory panel. The drug is administered to patients abdominally by doctors or health professionals. Unlike Vivitrol, full detoxification isn't a prerequisite before patients can start Sublocade injections; however, they will need to take sublingual buprenorphine for at least seven days before their first infusion, according to the article. The FDA is expected to approve a second form of injectable buprenorphine that was submitted for approval and produced by Braeburn Pharmaceuticals. One of the chief complaints about Suboxone and arguments against relying on buprenorphine is that it can be habit-forming. Some people argue that opioid addicts are just switching from one addictive substance to the next. If you are struggling with opioid use disorder, there is hope. While addiction has no known cure, it is a treatable condition; long-term recovery is possible provided one has the opportunity. At Hope By The Sea, we can help you break the cycle of opioid use disorder starting with detox, then followed by residential treatment, and aftercare. Please contact us today to begin your journey of lasting recovery.